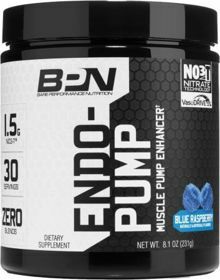 NITRIC OXIDE, ENDURANCE, MUSCLE PUMPS - If you're looking for a product that increases your workout intensity, duration and blood flow to your muscles - you've found it! This is a non-stimulant based product which stacks excellent with our pre-workout, Flight. 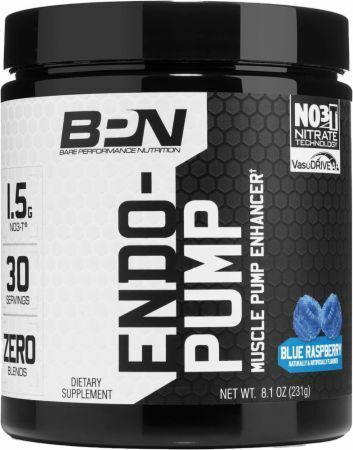 You can expect more vascularity, fuller muscles and strong pumps during training sessions with ENDO-PUMP. BARE PERFORMANCE NUTRITION: Our company is located in the heart of Texas - Austin. We are veteran owned/operated and hold ourselves to the highest of standards. If you have any questions about our company or products, please feel free to reach out to us by email or social media. Our entire line is manufactured in the United States.